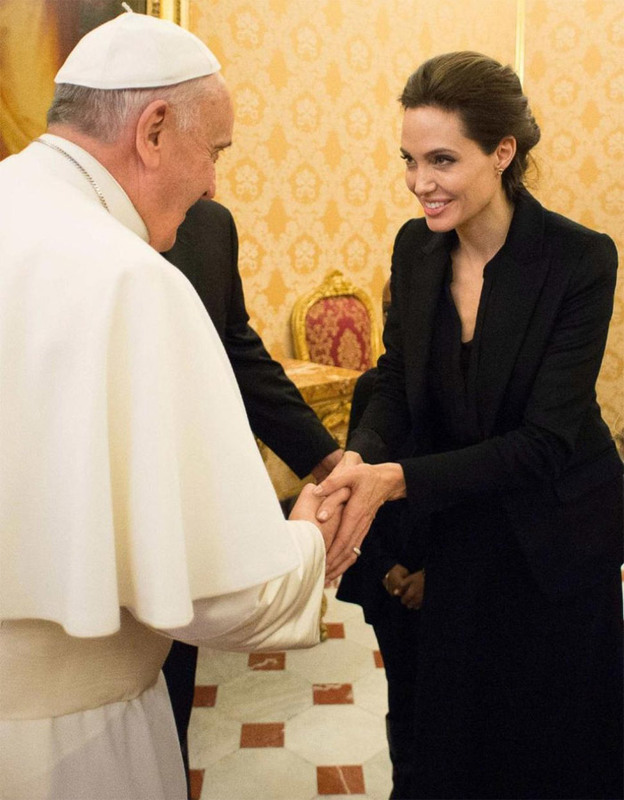 On Thursday (January 8) Angelina Jolie had an enjoyable meeting with Pope Francis. She was in Italy for the special Vatican screeing of her new film ‘Unbroken’. The ‘Mr. and Mrs. Smith’ starlet was accompanied by Zahara and Shiloh and also late Louis Zamperini’s son Luke. All of them posed together for pictures.